When you start surrounding yourself with plants, you will soon realize the following truth. There are plant supplies and accessories that will make your, and your plants’ life much easier. 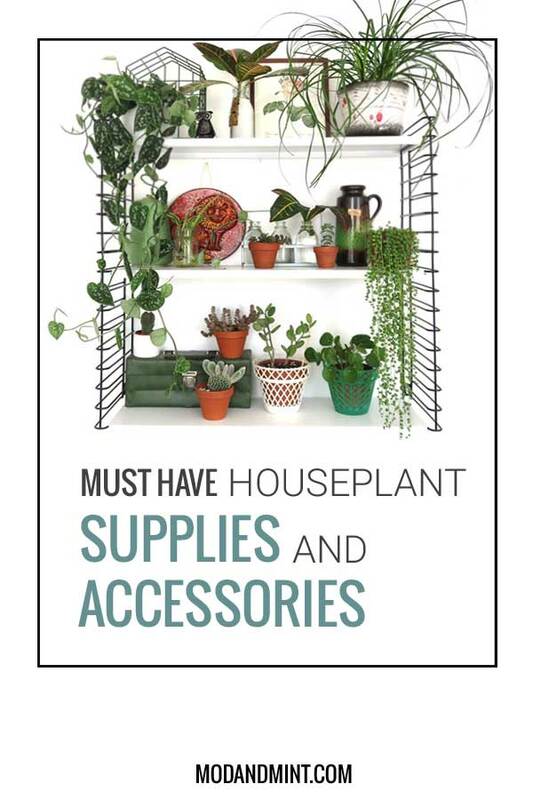 Starting with the house plant essentials. A plant needs some sort of container to hold it. Do you know what type of pot should you use for your indoor plant? What should you look for in a good watering can? And of course a plant needs soil. But what kind of soil does a plant need? 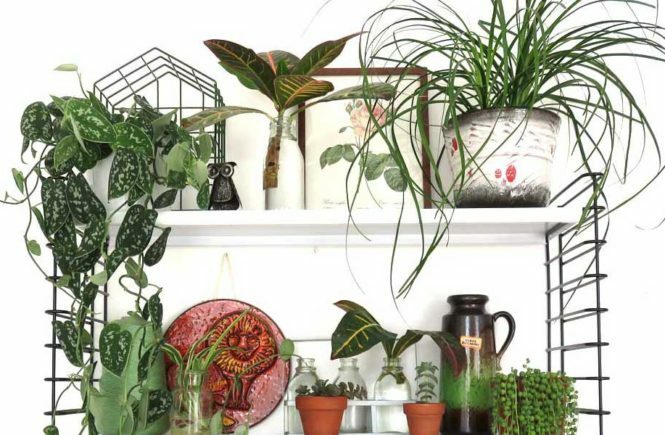 The list ends with a few house plant accessories that that go perfect in every indoor urban jungle. Want to come back to it? Pin for later! I’m a big fan of keeping plants in clay terracotta pots. Their look matches with almost every interior. And clay is porous, meaning excess moisture can evaporate through the sides. If you have plants that like to be kept moist, opt for a plastic pot instead. All plants need to be watered. Even the most drought tolerant plants, like cacti and succulents, need watering every now and then. You are best off with a watering can with a long, curved spout. It is ideal to get under those succies leaves, or water plants in hanging baskets. 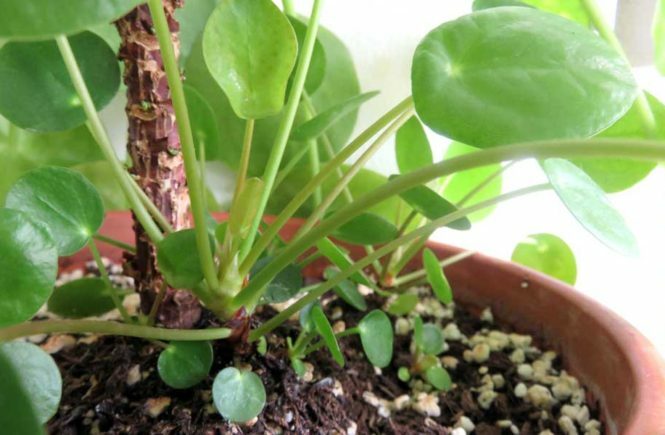 Related Post: How and When to Water your Houseplants. To mist or not to mist your plant. The opinions differ. It only raises the humidity around the plants temporarily. It might not be worth the trouble. On the other hand, a little special plant care treat can’t hurt. And misting gives you an extra check in moment with your plant. But who really needs an excuse to have a pretty Brass Plant Mister? Some plants, like the maidenhair fern, are total diva’s. The maidenhair is a high humidity loving plant. Many houseplants originate from tropical, humid locations. Placing them in a semi enclosed terrarium is mimicking their natural habitat. Place smaller humidity loving plants in an Ikea window sill greenhouse. You can get your hands dirty and opt to mix your own soil, or buy high quality soil mixes in a bag. I like my soil to be non GMO like this Organic Cactus Mix for cacti and succulents, or the regular Organic Potting Mix for other indoor plants. How many DIY macrame plant hanger tutorials do you have on your Pinterest boards? I know you’re busy. If you can’t find the time to get crafting, get yourself a ready made hanging macrame planter basket. Especially wise if you have plants that you want to keep out of your pets reach. Related Post: Indoor Plants and Cats. How to keep it safe. Now what to do with that large Sansevieria? Too large for the mantle or window sill, it will stand on the floor. These Seagrass belly baskets add a great boho touch to any large floor plant. 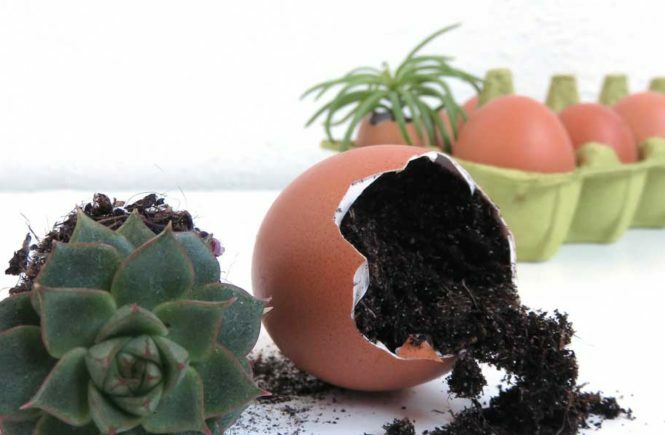 When your plant collection grows, you might start running into space issues. They all want that good spot in the room where the light is just right. 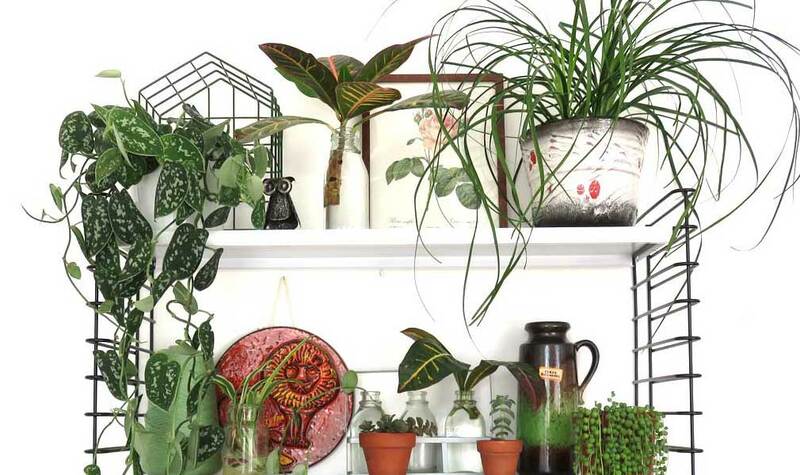 The solution is to group your plants together, and display them on a multi layer plant rack. Got anything good to add to this list? Please share in the comments!